Today we ask that you let yourself rest. Most people find it difficult to truly rest, even on a holiday. In fact, holidays for many are more stressful than daily life. But the purpose of seasonal holidays, which are very ancient, is to allow humans a natural pause in the flow of life. When you inhale, there is a pause before you exhale. When you exhale, there is a pause before you inhale. In music, the pause is no less important than the sound. Musical notation shows the notes, and the rests. Music cannot exist without pauses and silences. 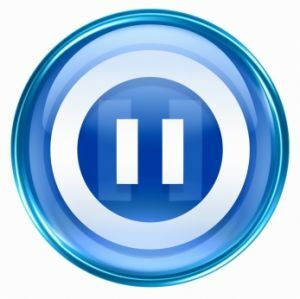 You live in a time when people are increasingly impatient with pauses and rests. The ideal human in modern culture would be someone who never requires sleep, and is capable of ceaseless activity. Such a human does not exist. Pauses are necessary. Rest is necessary. Nature does not create anything that is not necessary. All life forms require rests and pauses. This is reflected in the Biblical myth of creation. The Creator rests on the seventh day. Even the Creator God is not capable of ceaseless activity. And yet humans expect themselves to do things even their “God” cannot. It used to be that many people celebrated a “sabbath” in honor of the Biblical story. While it is not a bad thing that repressive religious restrictions have gone out of style, there was a real benefit to the weekly dedication of a day to resting, to pausing. Sleep is necessary for humans. Going without sleep causes sickness. There is no way to bypass this, try as humans might. There are many humans who would benefit greatly by giving themselves a “sleep holiday.” People are so sleep-deprived that they could spend a whole week doing little but sleeping. This would greatly improve health and well-being. Sleep is basically a digestive, integrative process. Just as you must digest and integrate the food you eat, you must digest and integrate your experiences. Without sleep, there is a lack of nourishment, a lack of integration. This causes sickness and imbalance in the brain and psyche. Sleep is good for you. It is necessary. Pauses are necessary. There is nothing — no music, no creation, no life itself — without the pause. So please give yourself permission to rest, and unwind. Please let your nervous system rest. Step away from electronic devices. These drain and overstimulate the nervous system, with constant use. If people gave themselves a once-a-week sabbath from electronic devices, it would cure many ills. Insomnia would be drastically reduced in this away. Humans did not used to suffer insomnia in endemic numbers. It is caused by poor sleeping habits, combined with the constant overuse of electronic devices. Let yourself rest. Let yourself pause. Let yourself feel the seasonal rhythms, even if you live in a large city. Go outside. Notice what the sun and moon are doing. Notice what the plants and animals and insects are up to. There is no growth that is not preceded by a pause. This is universally true. All expansion in nature is preceded by a rest, a pause, a silence. If you are not expanding as much as you’d like, the answer may not be to do more. The answer may be to do less. If you are not growing, perhaps it is because you are not pausing. Today is a day to let yourself pause.